As you child grows, so does their confidence, so the next stop is a two wheeler! 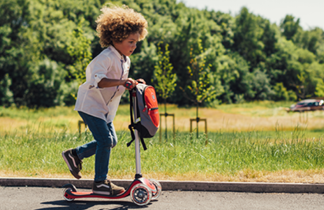 The two wheel scooter range includes stylish designs and patented kick and fold technology for quick and easy commuting. With brands like Globber safety tested in five independent labs, you can browse with confidence when shopping the range.